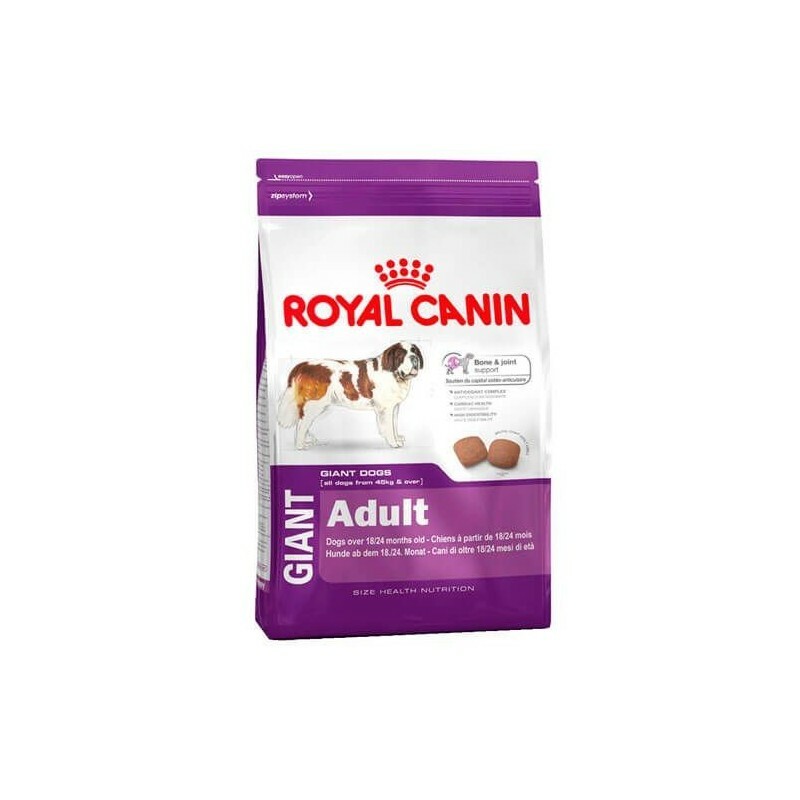 The I think dry Royal Canin GIANT Adult is indicated for the daily feeding of adult dogs of giant breeds. Your formula takes into account the nutritional needs of these dogs and is made with all the nutrients it needs to be healthy. SUPPORT OSTEOARTICULAR Help the maintenance of bones and joints subjected to the stress of the giant breeds. ANTIOXIDANTS Contains an exclusive complex of antioxidants to help neutralise free radicals. HEART HEALTH Helps maintaining heart health, thanks to content adapted from taurine. HIGH DIGESTIBILITY Promotes optimal digestibility thanks to an exclusive formula including protein of very high quality and a balanced intake of dietary fibre. 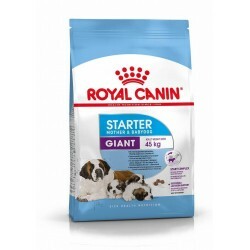 Food very complete and nutritious food for dogs of giant breeds (> 45 Kg). With a high protein content to keep muscles strong. Glucosamine and chondroitin for their joints. The fatty acids omega 3 and 6 make their hair more lustrous and their skin is more healthy. Prevents the twisting of the stomach. 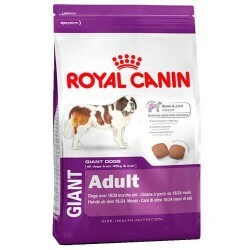 Complete food and balanced indicated for the daily feeding of adult dogs of giant breeds from 18-24 months. dehydrated poultry proteins, corn, corn flour, animal fats, wheat, rice, hydrolysed animal proteins, maize gluten, beet pulp, isolated from vegetable protein*, fish oil, vegetable fibres, yeasts, soya oil, minerals, borage oil, hydrolysed crustacean (source of glucosamine), Rose extract of India (source of lutein), hydrolysed cartilage (source of chondroitin). Nutritional additives: Vitamin A: 21500 IU, Vitamin D3: 1000 IU, E1 (Iron): 41 mg, E2 (Iodine): 4.1 mg, E4 (Copper): 13 mg, E5 (Manganese): 53 mg, E6 (Zinc): 159 mg, E8 (Selenium): 0.09 mg, Taurine: 1.3 g - Preservatives - Antioxidants. Crude protein: 28% - Oils and fats gross: 20% - crude Ash: a 5.2% - crude Fibre: 1.8 percent. *L. I. P.: protein selected by its high assimilation. Description: Adult dogs of giant breeds (over 45 kg) require kibble with a size, shape, special, for a chewing-intensive and slow.